Indian is know for cricket crazy audience. We can say "Every Indian is fan of cricket form the day he born". As you have read the headlineson December 10, 2015 in New Delhi, smartphone company OPPO and International Cricket Council (ICC) has announced 4 year global partnership. The partnership will run for 4 years, from the start of 2016 to the end of 2020. Notably known as “a gentleman’s game”, cricket has always been a strong symbol of sportsmanship and fairplay. The ICC, the global governing body of cricket with 10 full members, 37 associate members and 60 affiliate members, is determined to safeguard cricket’s unique spirit and to promote the sport in its 100-plus member countries and regions, which naturally leads to the very selective choice of its partners. OPPO was Launched in China in 2004. OPPO dynamic company and leading electronic and technology service providers has already established itself around the glob . It has a strong presence in more than 20 countries including Australia, China, USA and right across Africa, Europe, the Middle East, South Asia and Southeast Asia. The ICC is delighted to welcome OPPO on board as a Global Partner and we are excited about the opportunity to team up for the next four years. OPPO is one of the market leaders in its field with an impressive worldwide presence, especially in territories where the game of cricket continues to grow and, in a lot of cases, flourish. OPPO has strong brand values on innovation and integrity, which are closely aligned with the ICC’s, and we believe that by partnering with OPPO, we can extend cricket’s reach even further. We look forward to working closely with them for the foreseeable future. By hosting the world’s pre-eminent cricket competitions, the ICC dedicates itself to giving fans around the world an extraordinary and unforgettable cricketing experience. This commitment to excellence accords perfectly with OPPO’s pursuit of perfection in its own exceptional products. OPPO is very enthusiastic about supporting international cricket, and cooperating with the ICC in bringing cricket fans more of the world-class competitions that the organization is known for. The partnership will allow us to continue to strengthen our links with consumers, as we join them in celebrating the great sport of cricket. The ICC runs a number of high-profile cricket competitions, including the ICC Cricket World Cup, the ICC World Twenty20, the ICC Champions Trophy, the ICC Women’s World Cup, the ICC U19 Cricket World Cup and others. 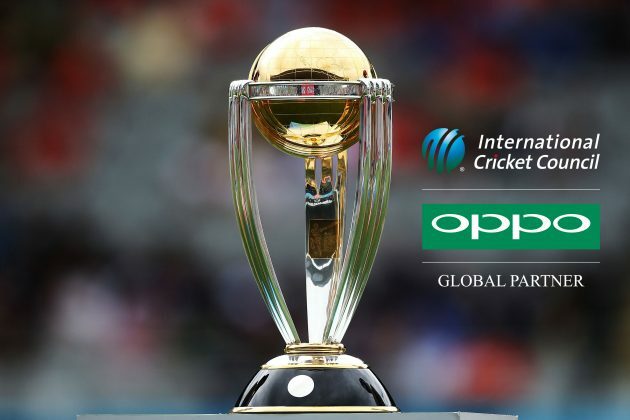 Through the ICC partnership, OPPO will leverage many high profile cricket tournaments hosted by the ICC to present itself through branding and fan engaging opportunities at the matches. This is OPPO’s second big play in the world of sports this year. In May 2015, it announced a 3-year partnership with FC Barcelona. So here is all about it. Have any query or any opinion do comment below. Thank you for reading.